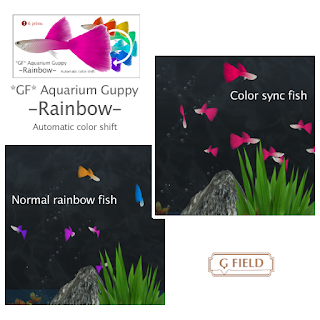 I released new color Guppy, rainbow. The fish will automatically shift their tail's color. It looks so beautiful! Copy only, 6 prims each, price: 700. Free swimming or Fish rezzer for tank. 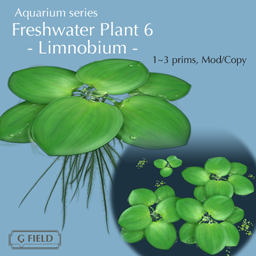 Also I released 1 freshwater plant, floating one. Mod/Copy, 1 or 3 prims, price:100.